Have you ever looked at calendars online that list the wacky “national” holidays? September is full of these holidays, from National Teddy Bear Day to Ask a Stupid Question Day. Now seriously, I found something interesting when I went through September’s dates. Many of the holidays in September have a lot to do with productivity and resolutions. Although not the traditional month to make “resolutions”, we all make them in September. September is a month of new beginnings. Students go back to school, begin another step in their educational journey and experiential learning opportunities. Students make resolutions to do well, study hard, enjoy campus life etc. If you are already in the workforce, summer hours and vacation are over! BTW I hope that you feel refreshed, energized and enjoyed your summer. But guess what? It’s time to get back into healthy work habits, strive to excel and meet your goals. In other words, be a rock star at what you do. How do September’s Wacky Holidays Fit in with Productivity? They are all about productivity. 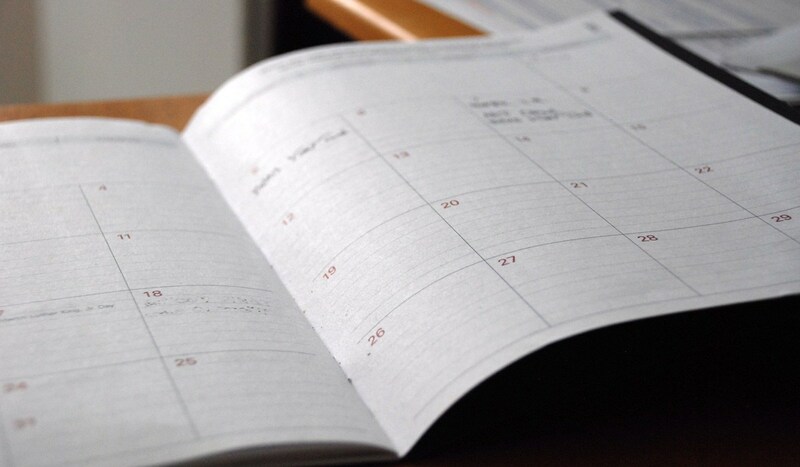 Think of them as reminders and action days to help you on your Quest to be more productive. September 2 is “Bring your manners to work day”. People like people with good manners. Don’t eat smelly food at your desk – it will hurt the productivity of others. Disrespectful and bad manners at work, make for an unhappy team and un-glues the glue! When there is no glue, your team is not as productive. Period. There is no excuse for bad manners. Good manners + Happy co-workers = More productive. No, a day to celebrate! We celebrate our accomplishments in the workforce, in industry, in technology, and in innovation. Your accomplishments, are the goals you met and even went beyond. Take the time to write your goals for 2017 on Labor Day. Getting them down on paper is your first step to improved productivity. It’s a great day to encourage us to share creative or helpful ideas. Ask your friends for their favorite tool, hack, tip. Give away your favorite life hack . In return you will receive new ideas and helpful hacks, that will boost your productivity. This is one of my favorites and should be yours too! Nothing gets someone going better than positive encouragement. If you want your co-workers, your team, your students to do better, to reach further, to go for those hard to reach goals they set for themselves, or for yourself – Simple words of encouragement go a long way. Oh and don’t forget to smile – a smile is one of the best things in the world! Now think about it, aren’t you happy when you receive good, positive feedback, encouragement, a pat on the shoulder or an awesome high-five? What automatically happens to your productivity? I will just leave you with this thought…. Can you imagine what we could do in this world if we all went on a quest to be positive – think positive, act positive, create positive … wow. Here we are at the beginning of the month. September has all the signs (on the calendar and in the stars…. ) to start your quest in being more efficient, more productive and enjoy your time and life better. You can. You can do it (my positive words of encouragement). Celebrate your accomplishments by setting new goals and going after them (Labor Day). You can learn productivity strategies and easy-to-use tricks to help you get through everyday tasks faster and more efficiently. Go on a Quest and let me know how your productivity has improved and how much more time you have to enjoy the important things in life. Don’t forget to share with me and the community your hacks, tricks, and tools for productivity, I will pay them forward too.